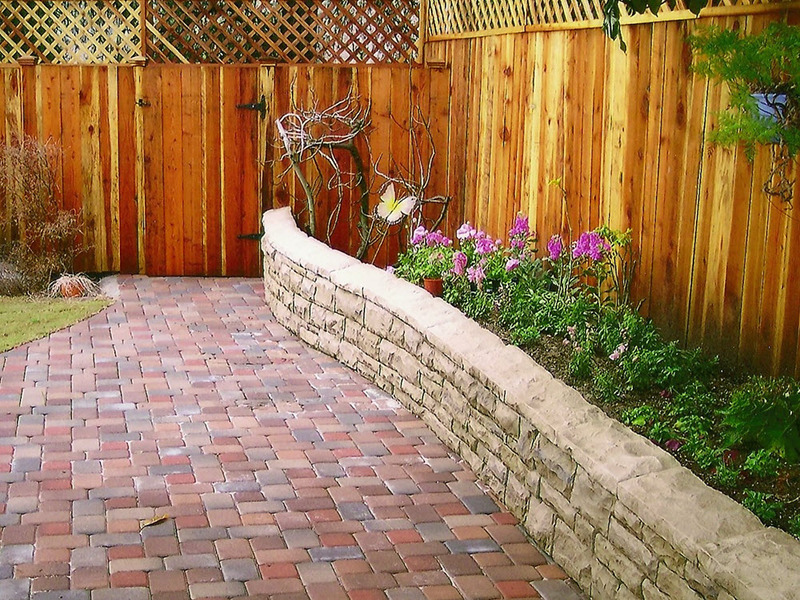 Call Ed's Landscaping TODAY for a consultation or Quote! 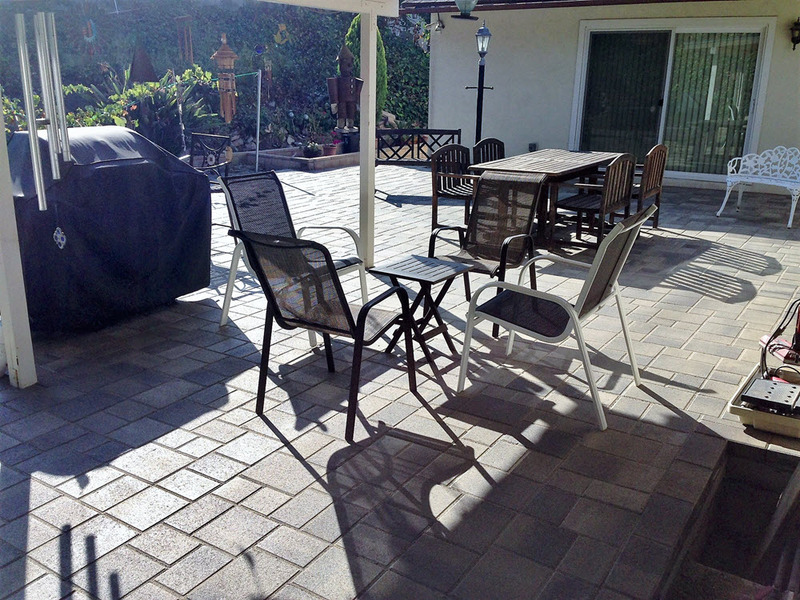 Paving stones are a durable landscaping material and come in many shapes, textures, sizes and colors, allowing for very creative designs. 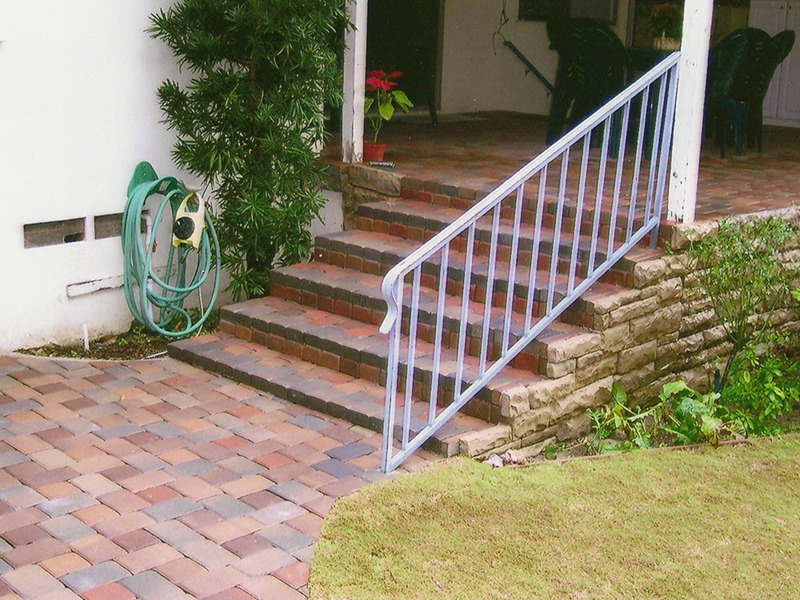 Especially great for patios, stairways, garden walkways, driveways, pool decks, and outdoor living areas. 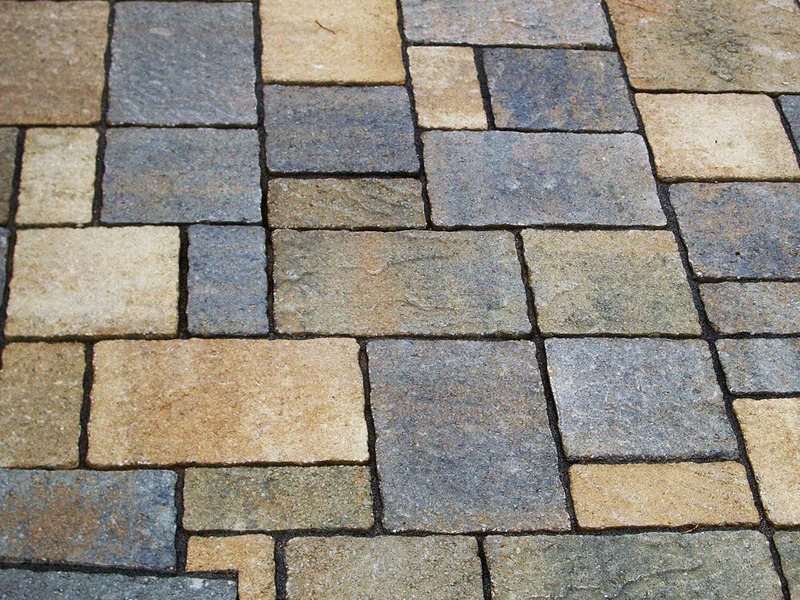 Additionally, many customers like a mix of hardscape textures. 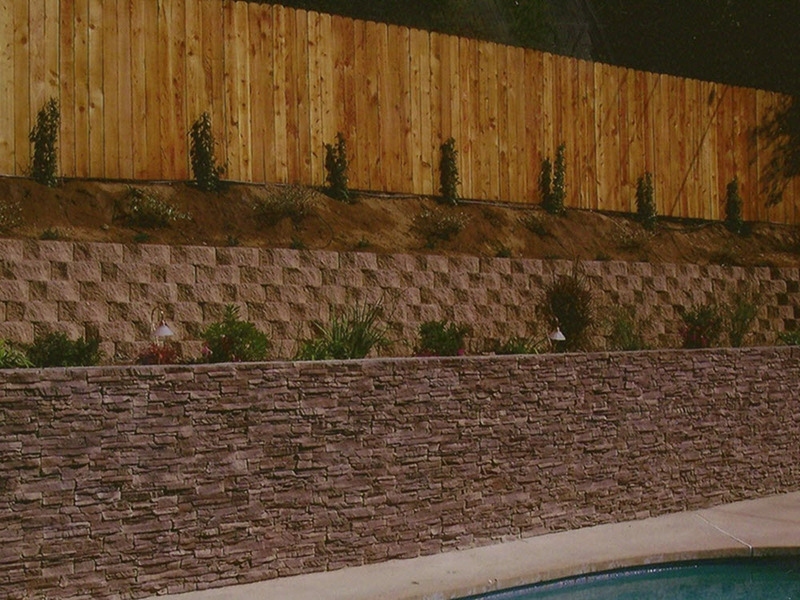 Combining natural stone slabs and boulders with other landscaping materials i.e. 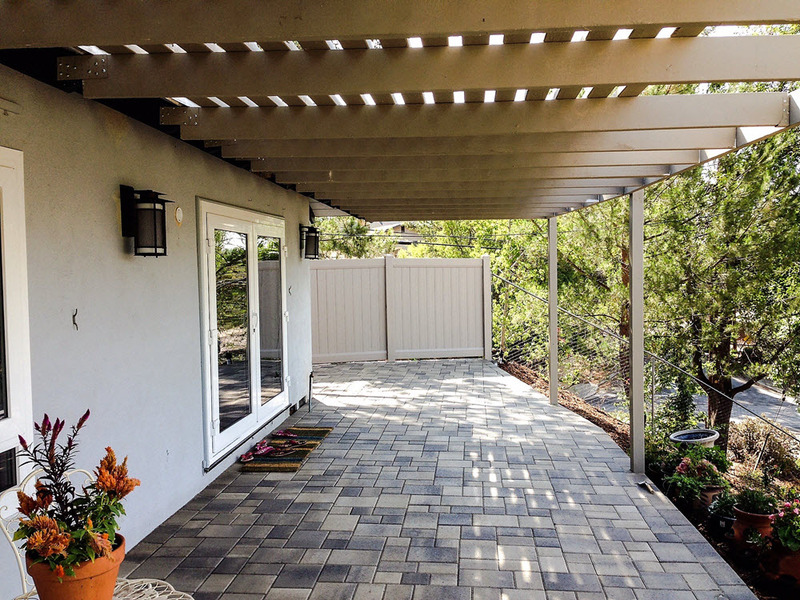 interlocking pavers, cement, cultured stone veneer and decking creates tasteful and practical touches to your landscaping vision. 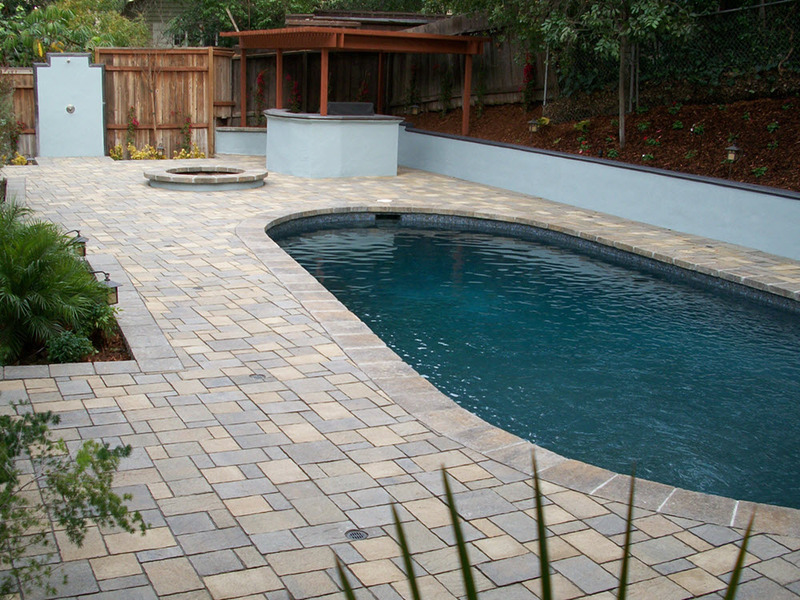 For stone selections available we have provided a link to one of our favorite natural stone vendor. 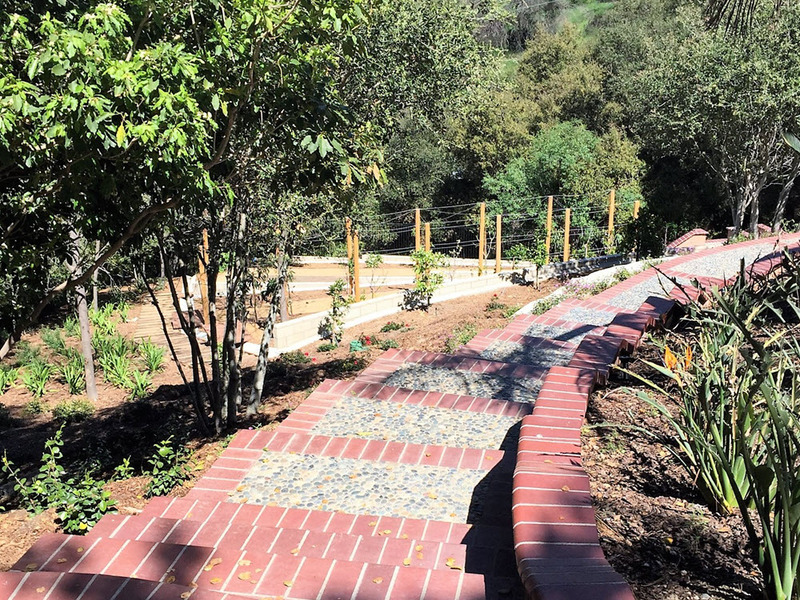 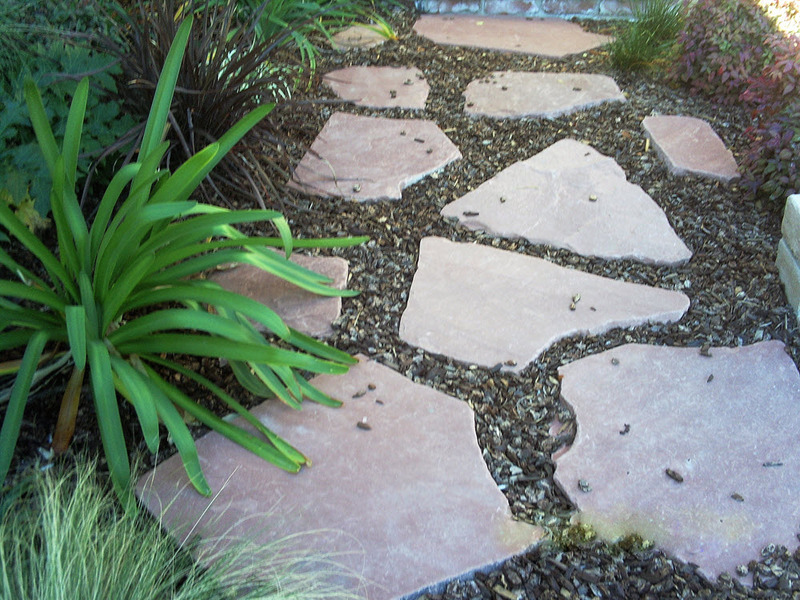 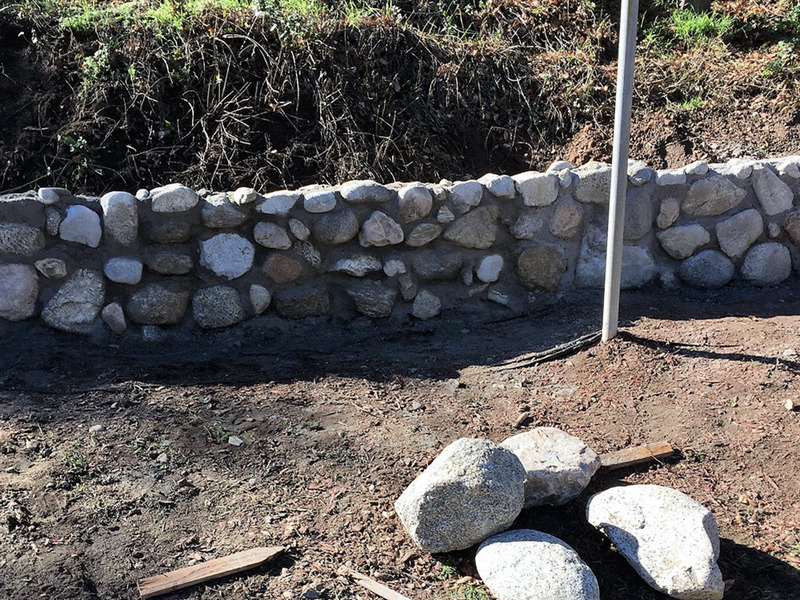 Ed's Landscaping has many natural stone slabs and gravel projects examples to share. 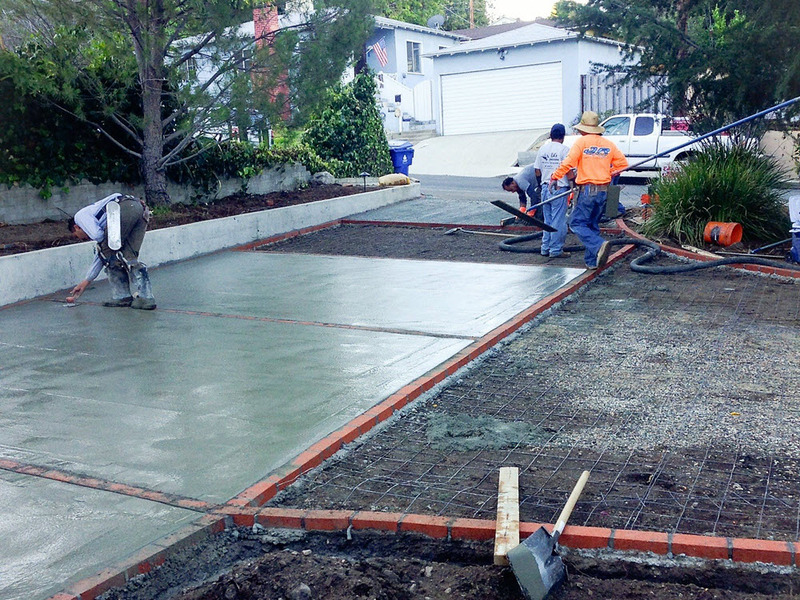 Concrete is a superb landscaping material for driveways, walkways, waterfalls, ponds and outdoor living areas. 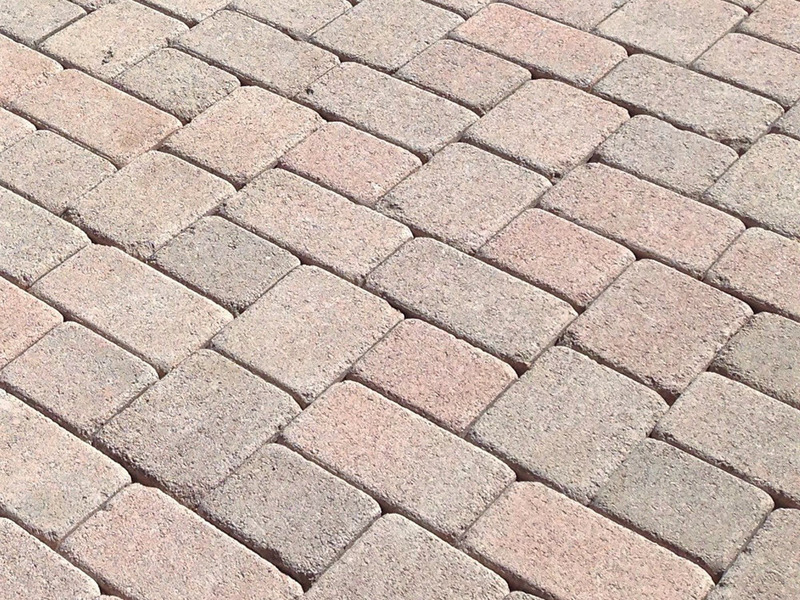 It is multipurpose, durable, beautiful in appearance, and low maintenance. 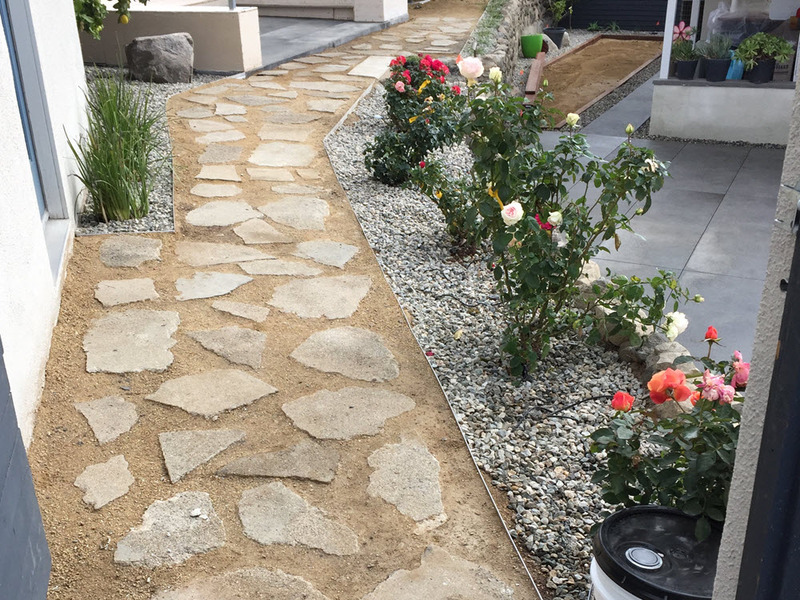 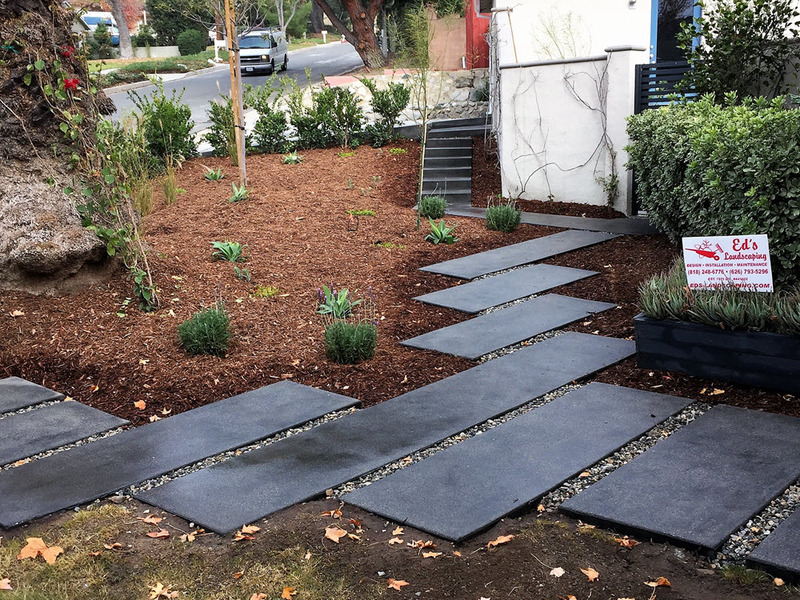 Concrete can add shape, texture and color to a landscape design! 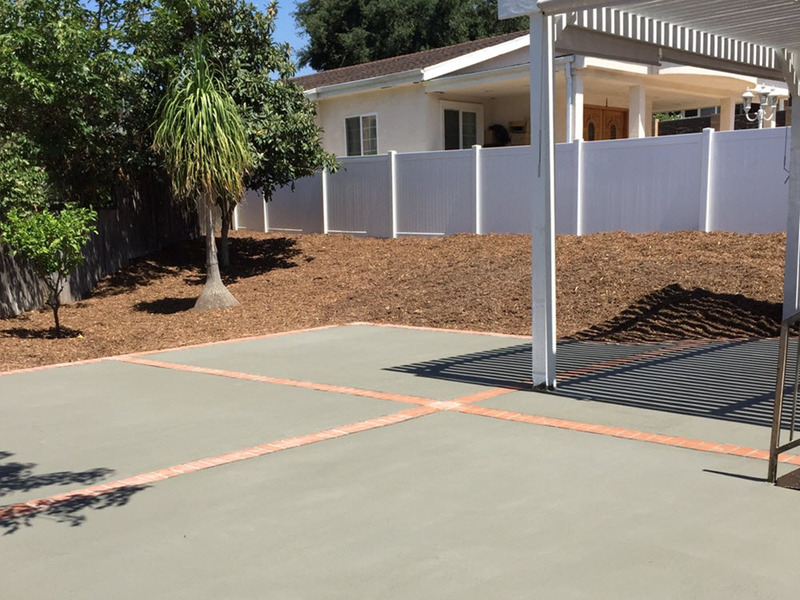 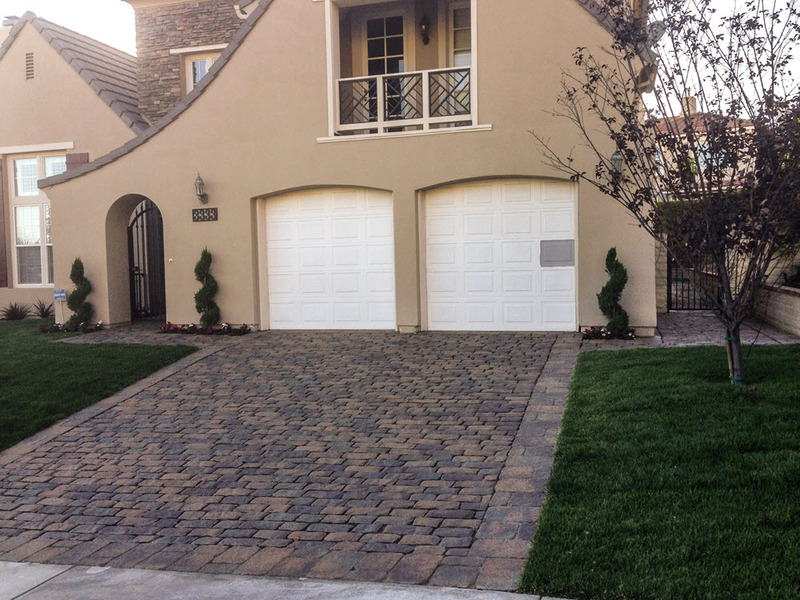 A professionally designed concrete driveway, patio, pool deck or walkway by Ed's Landscaping not only adds visual beauty, but also adds enduring quality and value to your home. 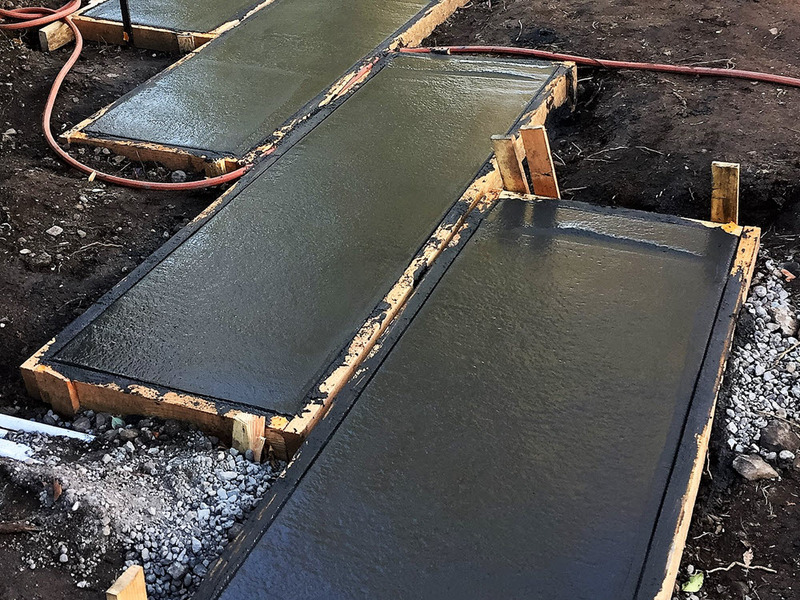 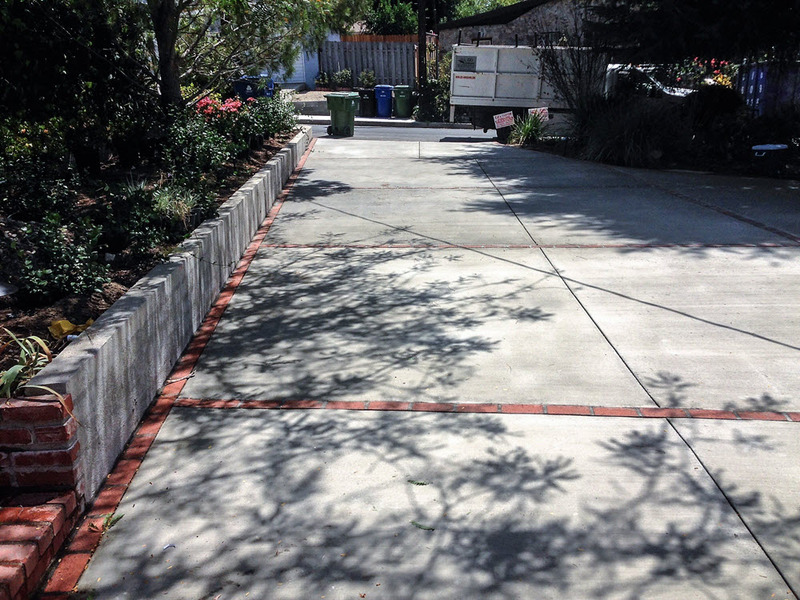 Concrete has been known to last for 30 years and longer without major maintenance. 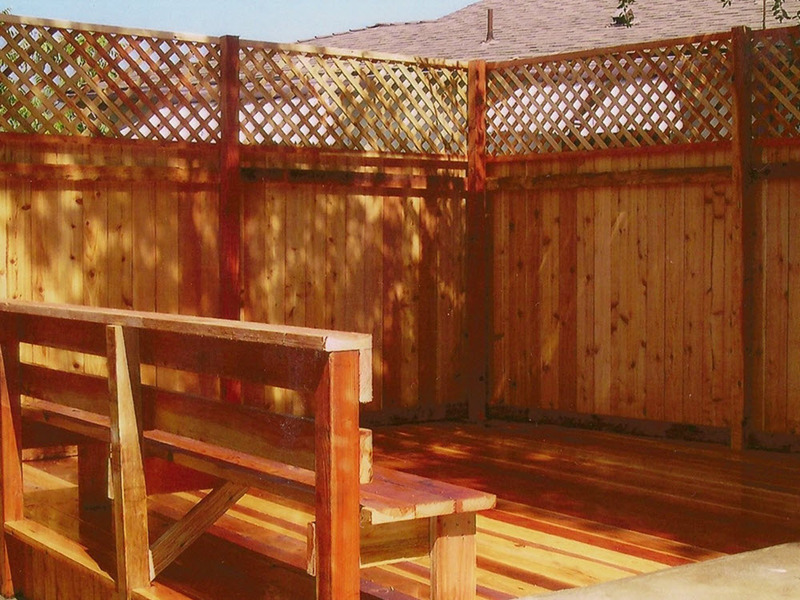 Fence and decking come in a wide variety of materials and styles. 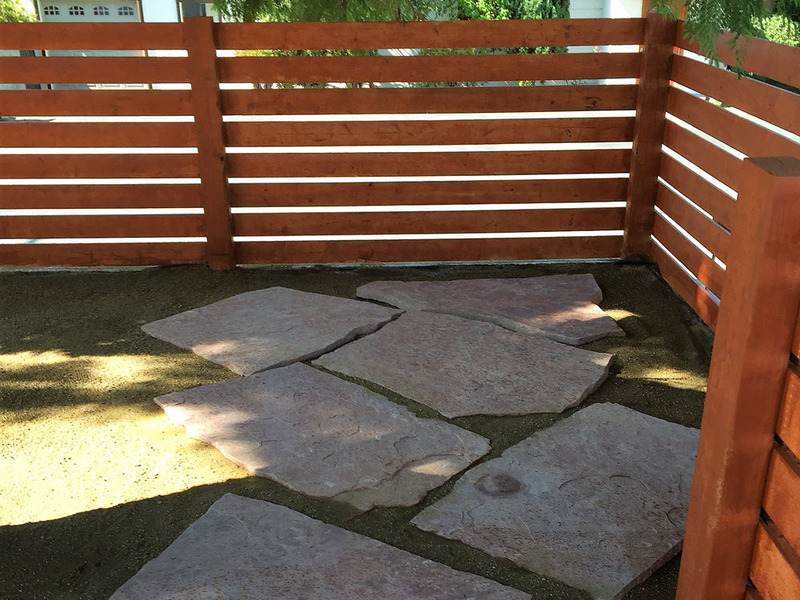 A fence or deck can be a starting canvas for a beautiful landscape design or the main focal point. 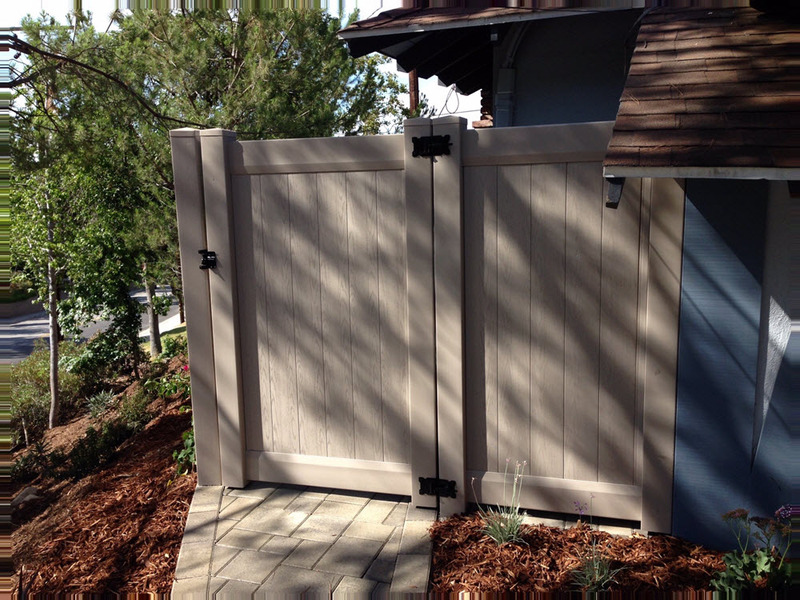 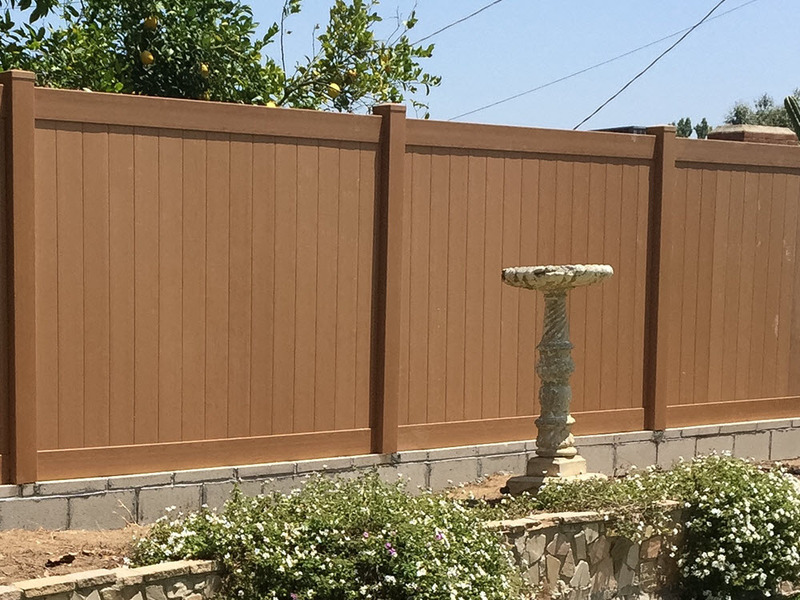 In addition to wood fence and decking, vinyl fence, decking and accessories are a durable, low maintenance option that comes in many colors and textures, providing flexibilty for your design. 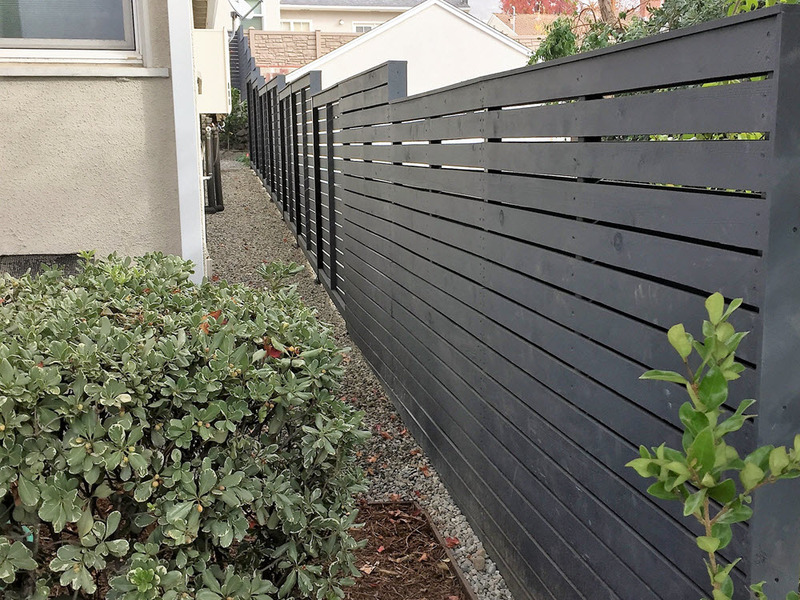 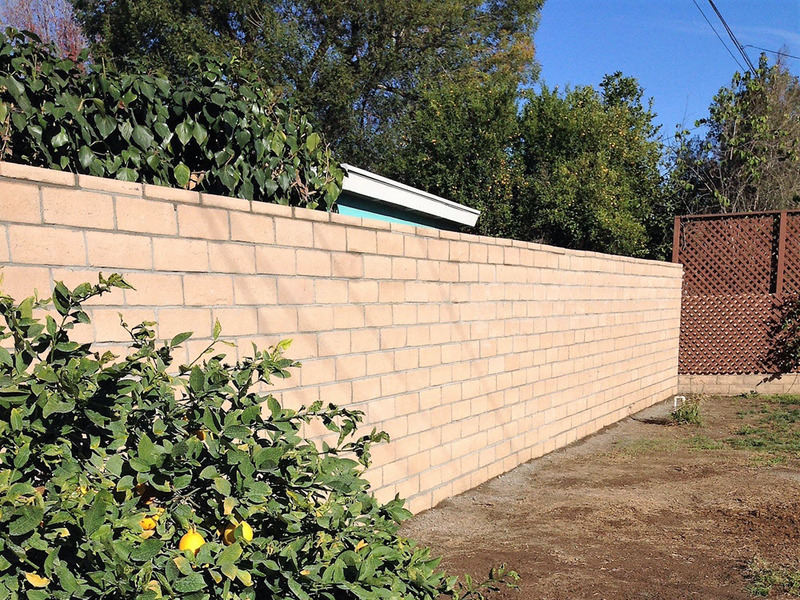 See the link below for examples of fence materials. 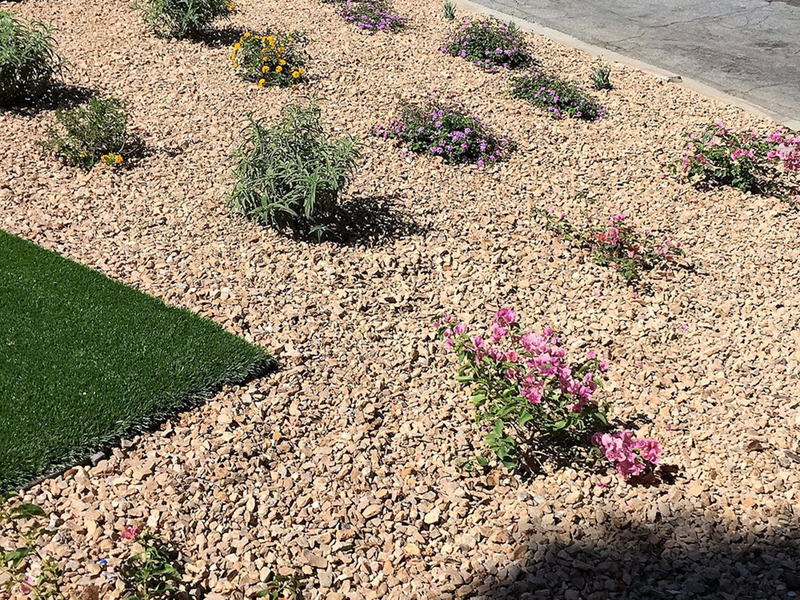 Used to enhance the visual appeal, improve water conservation, reduce weed growth and improve soil health mulch is used in many landscape designs. 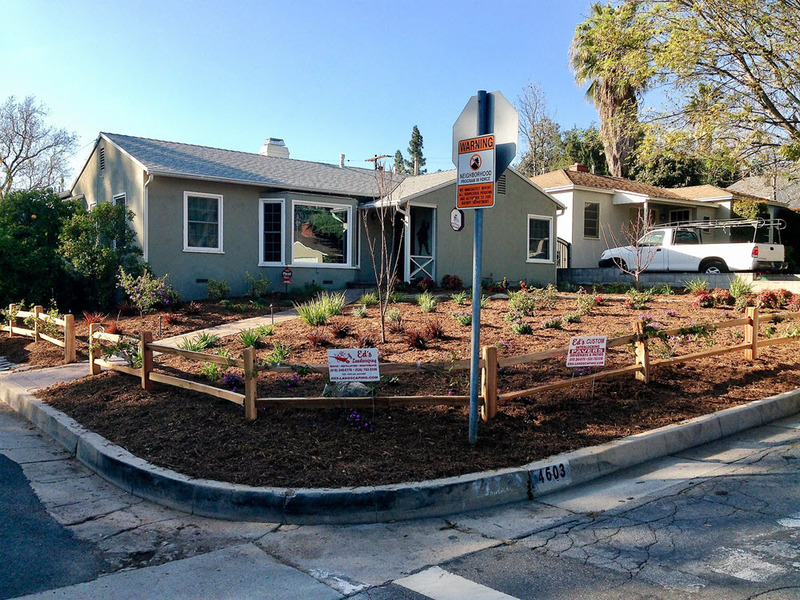 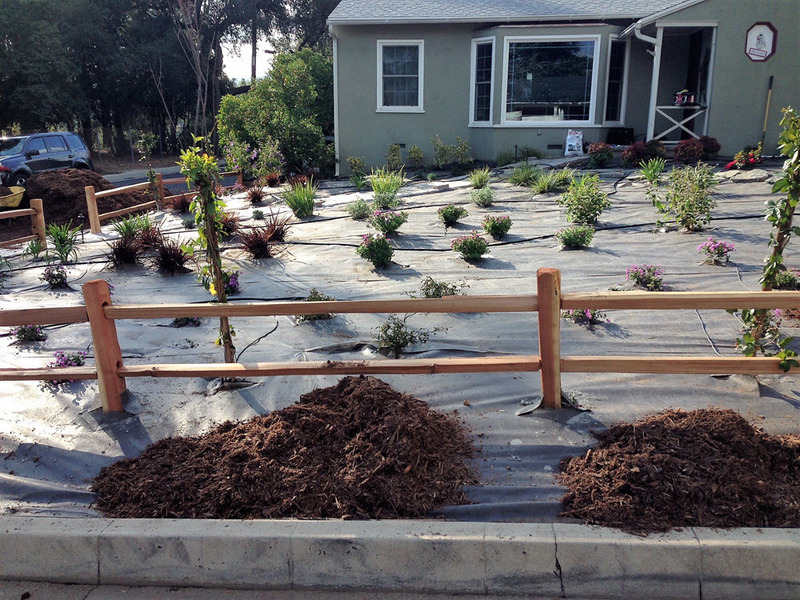 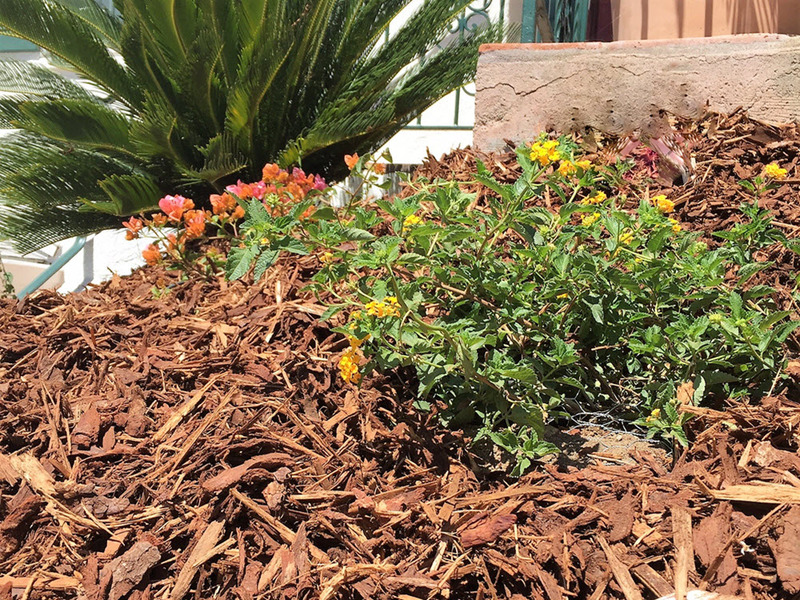 There are many types of mulch available to complement the landscape design. 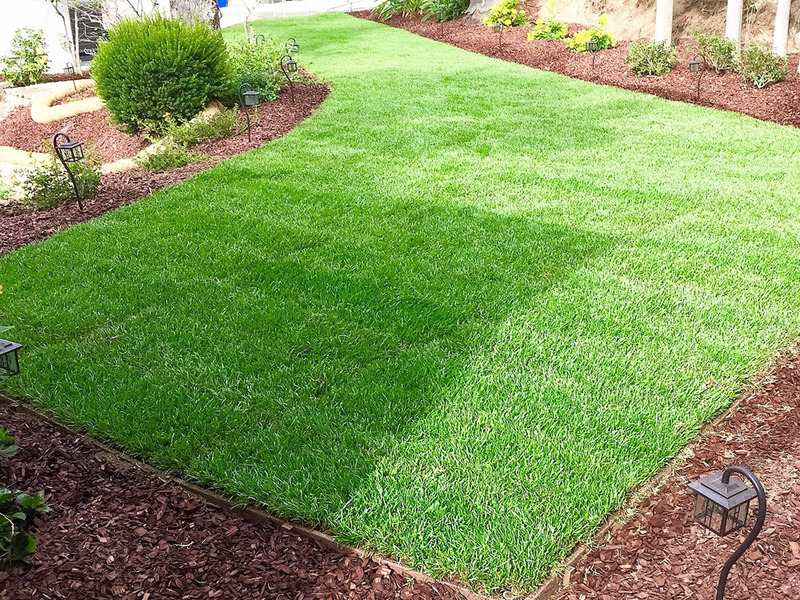 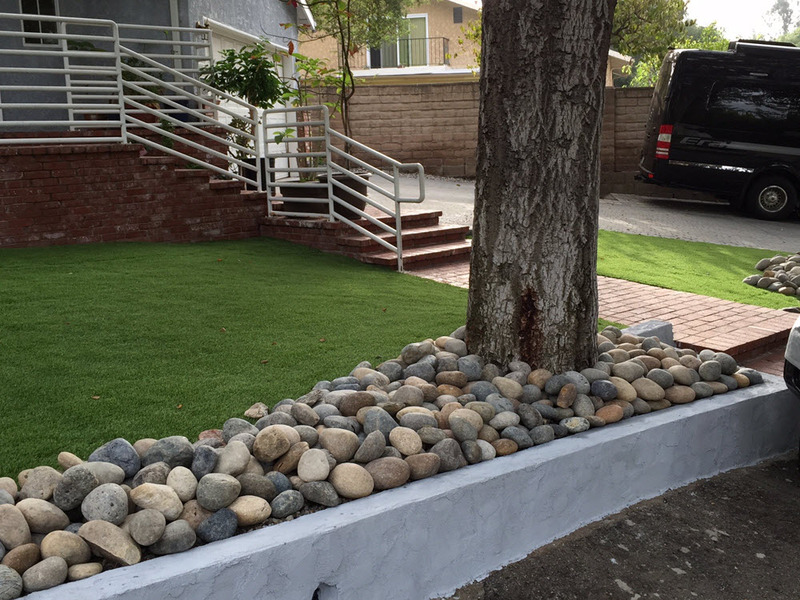 Ed's Landscaping will work with you to choose the right sod, plants, shrub and trees for your landscaping project. 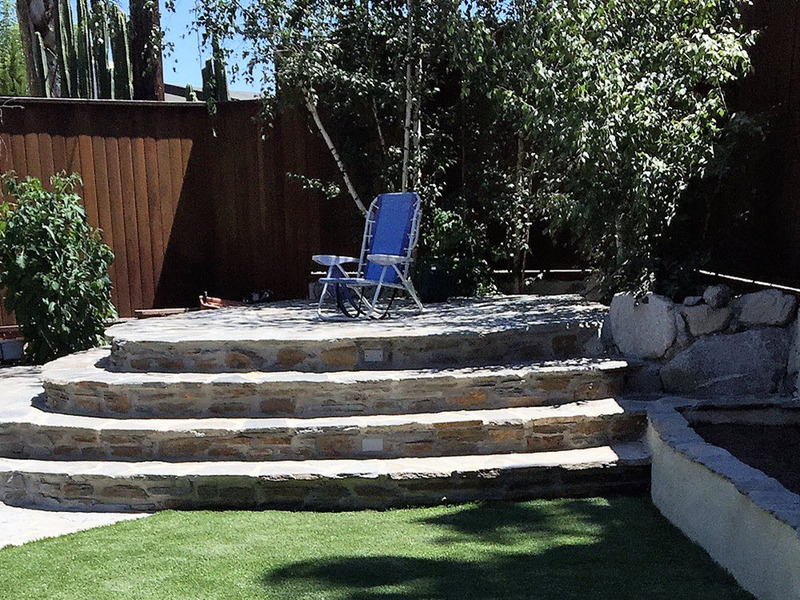 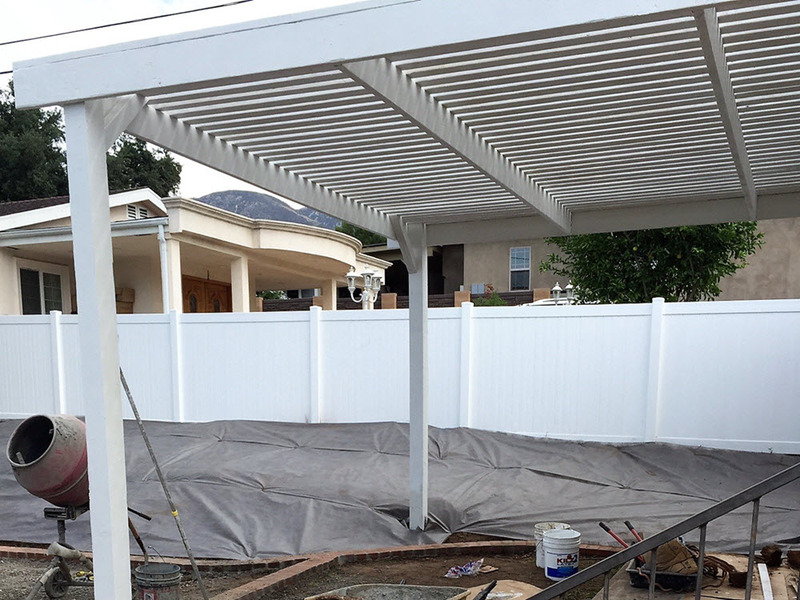 We listen to your ideas and make recommendations based on the space available, your landscape theme, location, sun exposure, soil composition, water needs, and maintenance goals. 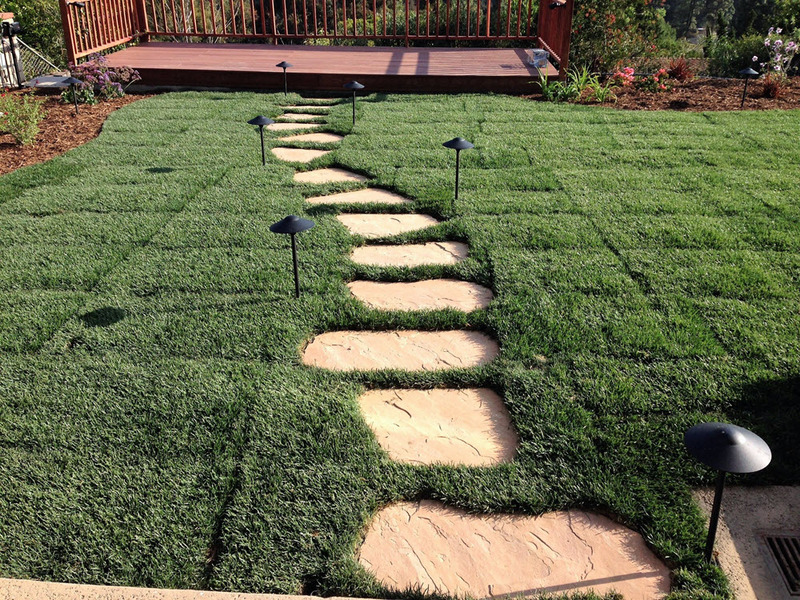 Let us help you create the landscape of your dreams! 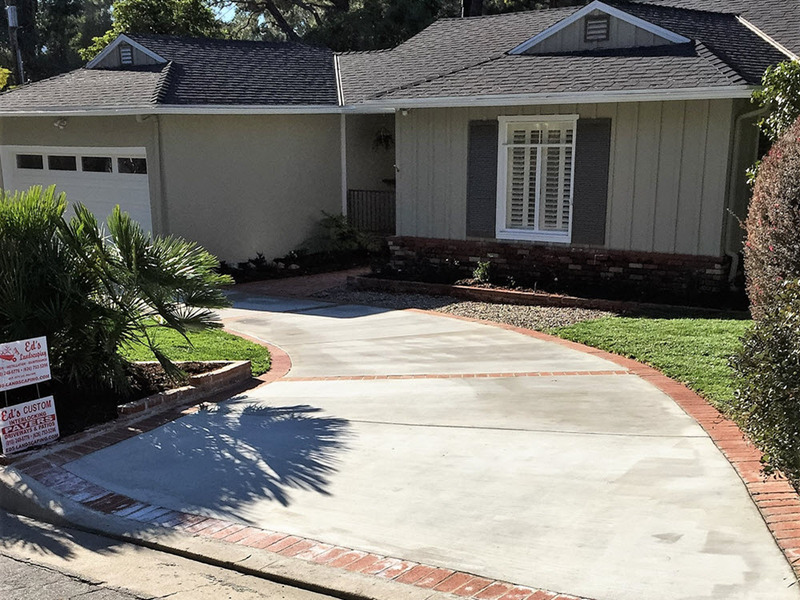 Altadena, Burbank, Eagle Rock, Glendale, La Canada - Flintridge, La Crescenta, Montrose, Pasadena, San Marino, South Pasadena, Sunland-Tujunga, and surrounding areas.